Does a Dedicated IP Address Offer More SEO Advantages? Search Engine Optimization (SEO) is both an art and a science. Obviously, the higher up Google's search rank you are, the more opportunity there is for people to see your listing and therefore visit you site, and then purchase you products and/or services. To facilitate a higher ranking, legions of SEO experts live and breathe experimenting with every aspect of websites and their hosting to establish exactly what benefits a sites and ranks them higher, and what to do to avoid ranking diminishing. One area of intense speculation is whether websites benefit from a Dedicated IP address rather that a Shared IP address. This 'code' is what identifies the machine you are using. Being identified, the Internet can send data to it, meaning you can access the multitude of websites the Internet has to offer. What's a Shared IP address? As mentioned previously, the server which your web host uses to host your website is a single machine with a single IP address. However, in shared web hosting, one server can host thousands of websites at any given time, and all of these websites are recognized by the single IP address allocated to the web host's server. What's a Dedicated IP address? If you have your own server, and that server only has one website on it, then by default, your IP address is dedicated. However, usually more than one site reside on a specific server. A Dedicated IP address is, as you might imagine, an IP address that is allocated to a single website on a server rather than a machine itself. 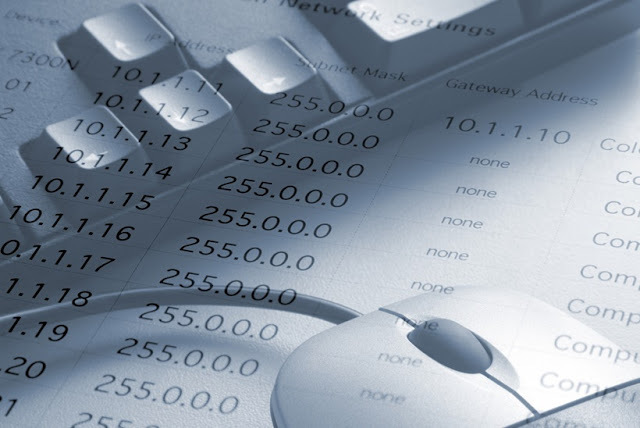 What's are Dedicated IP addresses for? Dedicated IP addresses are more often used on larger, typically ecommerce websites that are encrypted to be secure. This means they might store sensitive data such as credit card numbers, etc. However, some people suggest that rather than having hundreds of sites sharing the same IP address, it is more beneficial as far as SEO is concerned for a site to have its own IP address. What's the current thinking? Is it more beneficial as far as SEO is concerned for a site to have its own IP address? There are a number of situations where a dedicated IP address might be beneficial for SEO. As we have said, shared hosting adds thousands of websites to a single server. This means that your website might be sharing resources with sites that are more successful than your own. As a result, those sites might be slowing your site down. The slower your site, the further down Google's rankings it goes. Adding a unique IP address to your site does not mean it loads faster, but migrating to a Dedicated Server which has a Dedicated IP address will. So, rather than adding a Dedicated IP address to your site on a shared server, moving your site to a machine that only hosts your site by definition gives your site a dedicated IP address, and this will certainly pay dividends. You site will be faster, more reliable, and more secure. Mid-2014 Google started giving preference to websites that have added an SSL 2048-bit key certificate. This makes a site URL change from HTTP to HTTPS. Usually (but not always), SSL sites utilize unique IP addresses. Although Google has suggested their change regarding SSL has impacts less than 1% of search, it is still there - it is a genuine SEO benefit. SSL encrypts visits to your site, and again, it is more usually utilized by sites that store sensitive information. SSL can make your website more visible through public networks and can make websites operate marginally faster, meaning more visitors might hit your site and it might operate more quickly - both triggers for higher placements as far as Google is concerned. As we have said, a server utilized for shared hosting can harbor thousands of websites and some of these sites could contain malware. Some say that as those sites share your site's IP address, so your website is sullied and recognized as a residing in a 'bad neighborhood' and therefore penalized as far as search ranking is concerned. In such a case, a Dedicated IP address might prove beneficial, but then again, so would moving your site to a reliable web host and reliable server. I want to be safe - how do I get a dedicated IP address? Your web host will usually be able to provide you with a dedicated IP address and often they are not that expensive - usually around the $5-$6 region. The host will set up the IP for you. It would appear from current thinking that there is little benefit of a dedicated IP address beyond keeping you out of trouble that could negatively impact your Google search ranking. If your business is making money and you are on a shared server, for the amount of money it costs, a Dedicated IP address just might be worth the investment, at least to be on the safe side.